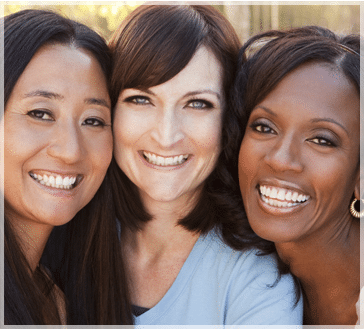 Whether you're looking for experienced obstetrics, skilled care for a specific gynecology problem, or if you're simply ready for a doctor you can relate to and trust, count on Dr. Christine H. Matoian at Preferred Women's Health in Bingham Farms, Michigan. Together, Dr. Matoian and her physician assistant, Melissa Rae, PA-C, bring you the most comprehensive gynecological and obstetrical care in all of Oakland County. At Preferred Women's Health, we are devoted to the diagnosis and treatment of gynecologic conditions and to the care of expectant mothers. We offer an intimate, private environment tailored for your comfort. You are a unique individual and will always get the attention you need from us. We take the time to get to know you and enjoy connecting with you on a personal level. Our doctor is easy to talk to and is here for you, no matter what life brings your way. We offer complete OB/GYN care, backed by the excellent qualifications you can trust. Dr. Matoian is a board-certified OB/GYN with the knowledge, training, and experience you want. Learn more about the obstetrics and gynecology services we offer, then call to schedule your visit. We look forward to giving you the exceptional standard of care you deserve, to help you enjoy a lifetime of good health. For more information or to schedule an appointment, call our OB/GYN office in Bingham Farms at (248) 723-6200 or book an appointment online.